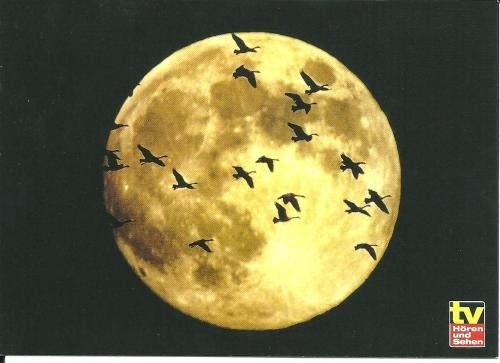 Postcard DE-3239862 from Germany shows "Canada Geese and Moon." According to Wikipedia, "the Canada goose (Branta canadensis) is a goose with a black head and neck, white patches on the face, and a brown body. Native to arctic and temperate regions of North America."